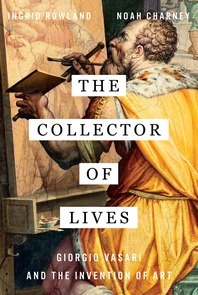 In the tradition of The Swerve and How to Live, this vivid biography reveals how a Renaissance scholar reshaped the visual world. Giorgio Vasari (1511–1574) was a man of many talents—a sculptor, painter, architect, writer, and scholar—but he is best known for Lives of the Artists, the classic account that singlehandedly invented the genre of artistic biography and established the canon of Italian Renaissance art. Before Vasari’s extraordinary book, art was considered a technical skill rather than an intellectual pursuit, and artists were mere decorators and craftsmen. It was through Vasari’s visionary writings that artists like Raphael, Leonardo, and Michelangelo came to be regarded as great masters of life as well as art, their creative genius celebrated as a divine gift. Their enduring reputations testify to Vasari’s profound yet unspoken influence on western culture. An advisor to kings and pontiffs—and a confidant to Titian, Donatello, and more—Vasari enjoyed an exhilarating career amid the thrilling culture of Renaissance Italy. In The Collector of Lives, Ingrid Rowland and Noah Charney offer a lively and inviting introduction to this pivotal figure in art history, and immerse readers in the world of the Medici of Florence and the popes of Rome. A narrative of intrigue, scandal, and colorful artistic rivalry, this vivid biography shows the great works of western art taking shape under Vasari’s keen eye—and reveals how one Renaissance scholar completely redefined how we look at art.